Over the past three years, Community Compost Company has serviced residents and local businesses in Jersey City, diverting nearly 57,000 LBS of food waste from landfills. Composting is another form of recycling in which food scraps are separated from the rest of our waste and combined with other materials (such as leaves, wood chips and manure) that will decompose, with the proper moisture levels and aeration, into an amendment that can be added to the soil to rebuild health and structure. In honor of International Compost Awareness Week, we are here to share just how beneficial composting an apple core, banana peel, and every other food scrap is, to you, your family and the Jersey City Community. Compost helps your local farmers and gardeners maintain high quality soil, reducing the use of fertilizers and pesticides. It supplies nutrients to enrich soil, which is necessary for healthy plant growth. So the peppers and cucumbers you buy at JC’s farmers markets, are great reasons to start composting. Many don’t realize that garbage from Jersey City is transported to a landfill in West Virginia. By removing and processing organic materials locally, we’re reducing the emissions associated with transporting, and in the process, improving the air quality and public health in our city. 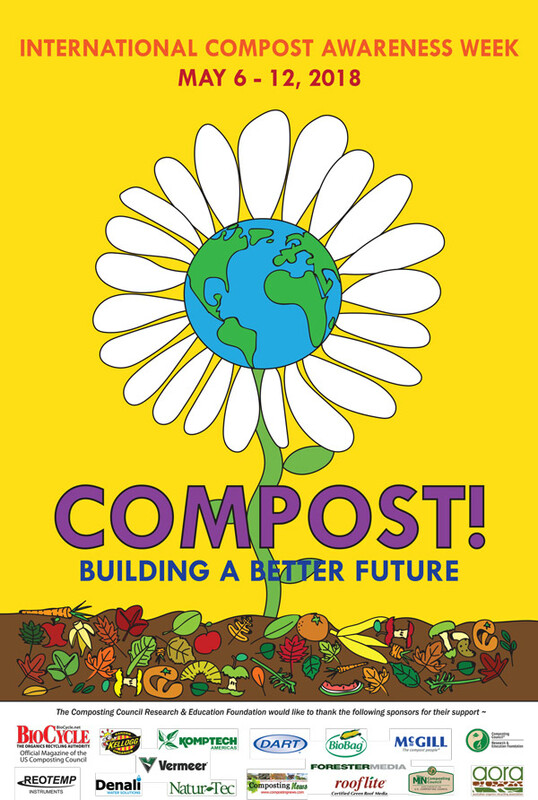 Compost also retains water, which reduces watering needs and prevents erosion and flooding. Each family member tosses about 300 LBS of food every year. A family of four loses $1,500 a year on wasted food, and throughout the US, 40% of all food grown and produced ends up in the garbage. As you separate food scraps from the rest of your trash, you are much more aware of how much food you throw away. This allows you to change your shopping habits and save money by only buying what you need. Community Compost Company has employees who live and work in Jersey City! Organic materials (comprised of food scraps, yard trimmings, wood waste, and paper products) are the largest components of solid “waste” ending up in landfills. Once there, these materials are forced to decompose without oxygen, which creates methane, a potent greenhouse gas. By diverting organic material from the waste stream, we help families cut their carbon footprint. Community Compost Company Jersey City: code ICAW2018. Learn more at communitycompostco.com.